eOne develops “no code” software solutions for mid-market enterprises which enables them to fit their business systems to their specific business requirement… 22,000 companies are benefiting from our tools right now! Our mission is to provide highly configurable and intelligent tools for ERP and CRM that increase efficiency while reducing costs…representing an unprecedented value proposition. eOne is a highly creative and agile team; we like to do things our own way…The Smart Way. Have you ever taken something that’s really good and made it even better? SmartView takes SmartList, the tool that we all love and makes it even better. SmartView provides an alternate, fast and flexible interface to the existing SmartLists. SmartView leverages all the power of SmartList and SmartList Builder inside a very flexible yet simple to use interface. Recode & Automate GL Distributions. The easiest way to report on GP data. SmartList Builder allows you to create both brand new SmartLists or modify existing SmartList. You can link up to 32 tables together. Tables can be standard GP tables, any of the Third Party (ISV) tables, any SQL table, SQL views or SQL Scripts, other SmartLists or Extender resources. That’s how many companies rely on Extender every day for doing business their way. Some of those customers use Extender to capture just 3 or 4 business specific data fields while others have built entire mini applications that contain multiple screens and hundreds of fields. If you are storing any data in Excel, Access or CRM that really should be in Microsoft Dynamics GP, then Extender is your answer. Companies that own Microsoft Dynamics GP own the most flexible ERP in the world – providing they add the Extender module to their solution. 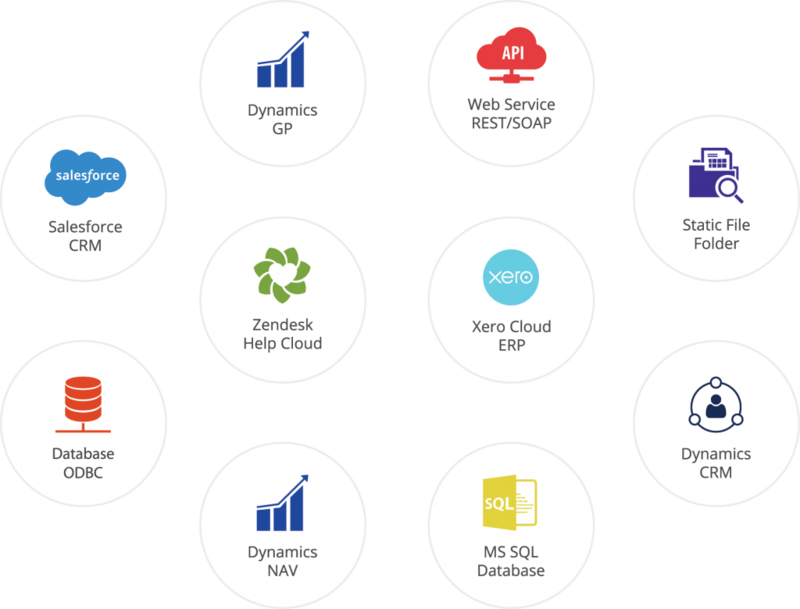 At its core, SmartConnect is an engine that can take data from any source and create records within Microsoft Dynamics 365, Dynamics NAV, Dynamics GP, Dynamics CRM and SalesForce.com. SmartConnect makes integration and automation simple.